In the quest for the best, we pass some prototypes around each year. This board was the biggest hit of any prototype we ever introduced, leaving everyone wanting their own. Well, here it is – the 2018 4’5” Invasion! The Invasion is a game-changer for surf-style wake surfboards. Unmatched speed, stability, agility, and pop derive from a performance hybrid rocker. The diamond nose helps maintain a fast stable and outline, while the rounded squash tail allows the board to pivot and turn with ease. A new, flatter, high-performance rocker works in perfect synchronicity with the outline and dynamic bottom contours to make this board incredibly fast and poppy at the lip, while the Futures Fins will hold you in the sweet spot and drive you to the lip. There are a very limited number of these boards in production, so get yours while they last. 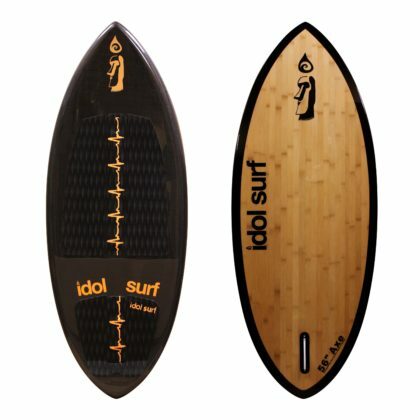 All idol wake surfboards feature light and strong EPS/Epoxy construction, Futures Fins interchangeable fin systems, EVA deck pads, and Gore-Tex passive vents (in surf-style boards only). These boards are made with integrity using quality materials and skilled craftsmanship. Diamond nose offers unmatched down-the-line speed and stability. 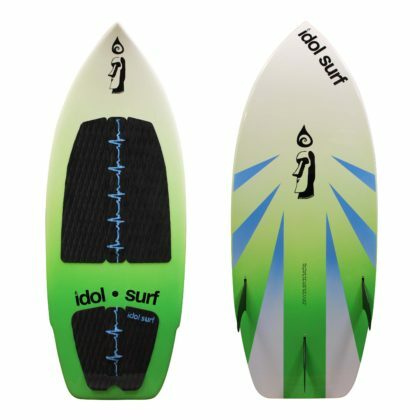 Single-to-double concave with the thruster fin setup make this board fast down-the-line. 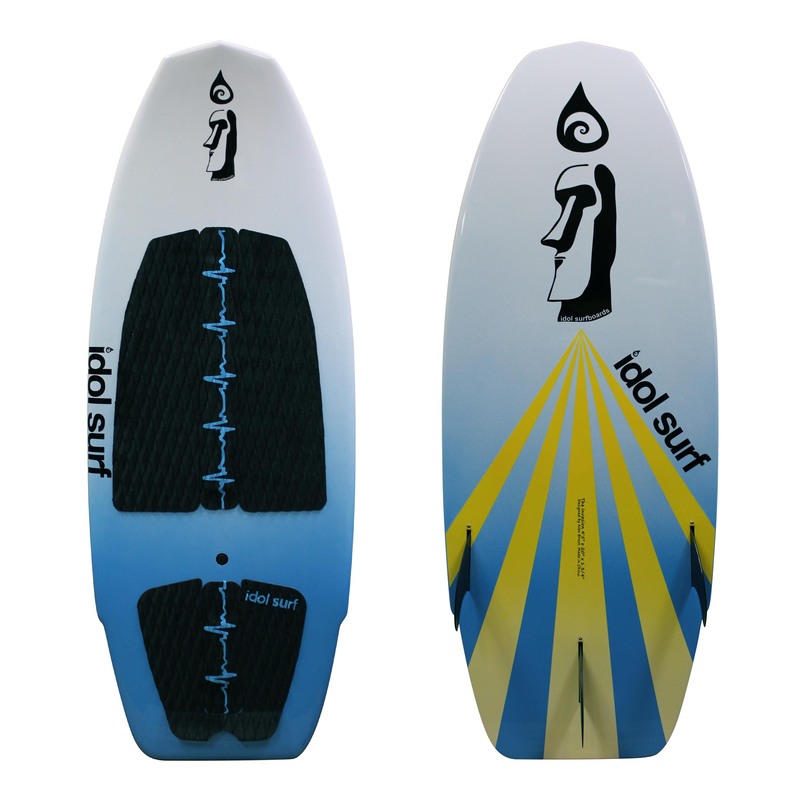 Wide, rounded squash tail offers smooth turns and plenty of pop and release at the lip. Progressive rails hold and drive up front while releasing at the tail for spins and aerial tricks. CNC machined and hand finished EPS foam core with 3-ply stringer. Three layers of 6oz fiberglass hand laid and wrapped on each side, using non-toxic epoxy for superior strength and performance. Fitted with Gore-Tex passive vent to allow out-gassing and avoid delaminating in excessive heat and/or high altitude conditions. 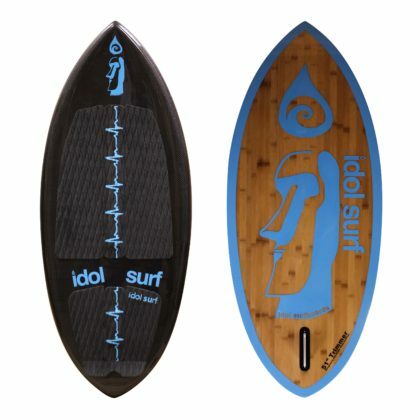 All idol wake surfboards are fitted with idol’s heartbeat EVA deck pad. 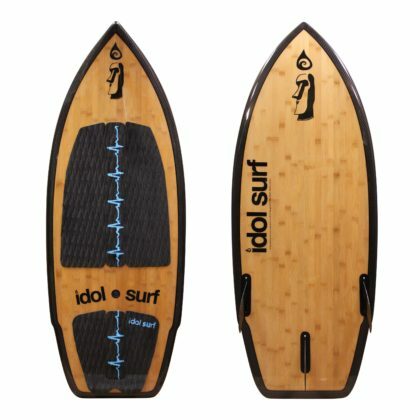 4'5" x 20" x 1 3/4"
Flattened rocker, deep single-double thin/progressive rails, single wing, diamond nose, block tail.